Alternative Energy Holistic Healing Therapy improves your health, body mind and spirit, and gives you an over all sense of well-being. If you are truly ready to change your life, get unstuck, heal from trauma, neglect, disease, illness or injury — then call Val. She delights in working with people who are ready to make significant changes in their lives. 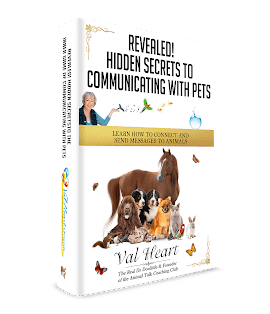 Val learned early on that in order to help the animals, she had to help the human caretakers. If you aren’t balanced, healthy, living appropriate lifestyles, then your animals will always be mirroring your conflicts, issues, and imbalances. If you are not able, for whatever reason, to be clear, calm, assertive, grounded, connected… what hope is there of enjoying truly healthy, balanced animal friends? They are forever at the effect of us, their human companions. Are you ready to change and improve your life, health, body mind and spirit?